The Greenwich Royal Hospital School was established in 1712 as an extension of the activities of the Greenwich Royal Hospital founded in 1694 to provide medical care for seamen (in a similar way to that provided to Army veterans by the Royal Hospital, Chelsea). 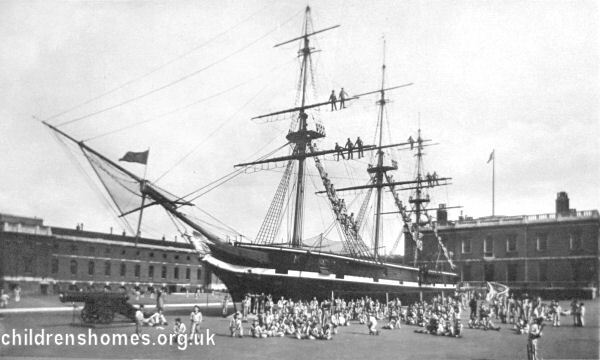 The School was to provide for the maintenance and education of the orphans of seamen who had died in active service. The School's first pupils attended the Greenwich Academy founded by Thomas Weston, Assistant to the Astronomer Royal, and later moved into their own purpose-built schoolrooms in 1759. A separate school, known as the British Naval Endeavour, was founded in Paddington in 1798 for the orphans of soldiers and sailors. This establishment was renamed the Naval Asylum in 1801, with Army Orphans becoming the responsibility of the Royal Military Asylum (now the Duke of York's Royal Military School). 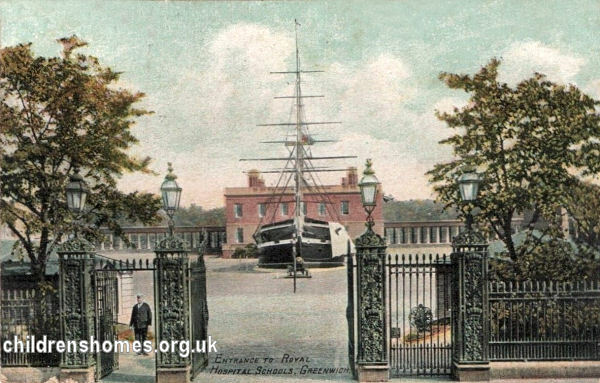 The Naval Asylum was renamed the Royal Naval Asylum following the battle of Trafalgar, and in 1807 moved to the Queen's House at what is now Romney Road, Greenwich, next to the existing Hospital School. Lloyd's Patriotic Fund made a donation valued at £61,000 to the Royal Naval Asylum, and as a consequence received enduring rights to nominate deserving pupils to the school — this continued until 1986. The original Pelham House building had been extended for the purpose with wings added at each side, connected with the centre by colonnades. The lower part of each wing contained school rooms for girls at one side and for boys at the other. The upper parts housed dormitories for the children and for the servants of the institution. In the centre building, the lower part held the committee-room and other facilities, with accommodation of the Governor, Matron, Secretaries, and Officers above. When completed, the premises could accommodate a thousand children. Other facilities were subsequently added, including a fully rigged ship and a swimming bath. The boys were taught reading, writing and figures, and those with aptitude were instructed in navigation. During their hours of relaxation, the older boys were taught rope and sail making. The girls were taught to read and write, and instructed in needle-work and household industry. The Asylum and Royal Hospital School were united in 1821, with the Asylum becoming the lower school and the Royal Hospital School becoming the upper school. The girls' section of the school was closed in 1841. The School site is shown on the 1896 map below. Royal Hospital School site, Greenwich, c.1896. 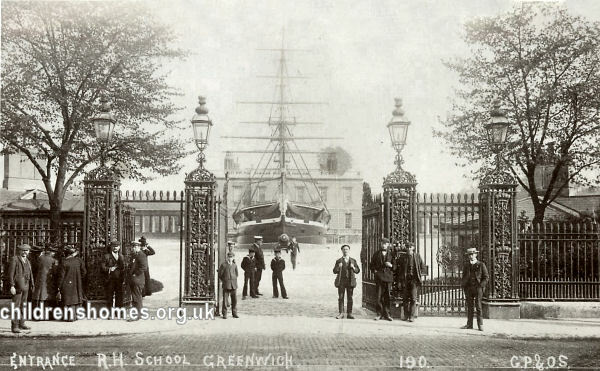 Royal Hospital School entrance, Greenwich, c.1905. In 1890, the aim of School was expressed as being to 'educate and maintain sons of deceased or incapacitated warrant officers, non-commissioned officers, petty officers, and men of the Royal Navy and Marines (and of men of the Royal Naval Reserve and Royal Naval Artillery Volunteer Force, killed or drowned in the service of the Crown)'. 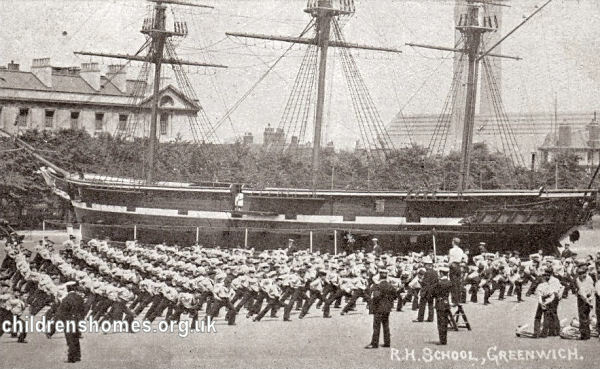 Royal Hospital School, Greenwich, c.1905. A boy applying for admission was required to produce original certificates of his birth and parents' marriage, together with a certificate of his character and moral conduct from the clergyman of his parish, a minister of his denomination, or from the master of school at which he had been educated. The boy and his parents or guardians had to sign an undertaking that at the age of 18 he would enter service in Royal Navy or, if found unfit, to enter the Merchant Service and be enrolled in Royal Naval Reserve. Boys on admission had to be between 11 and 14 years of age, physically fit for sea service, able to read and write, and have a knowledge of the four simple rules of arithmetic. 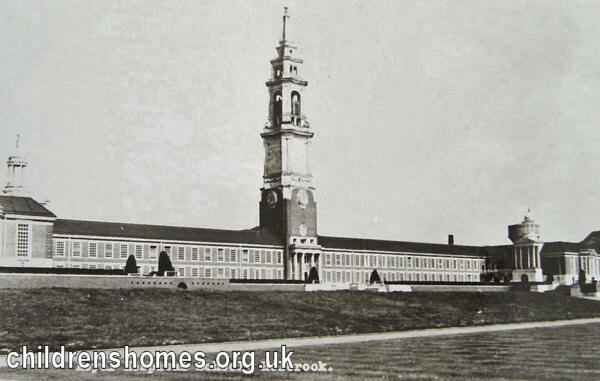 In 1933, the School moved to a new site at Holbrook, in Suffolk, where a maximum of 860 boys could be accommodated. The design of the new premises provided for the capacity to be increased to 1000 places, but this was never done. 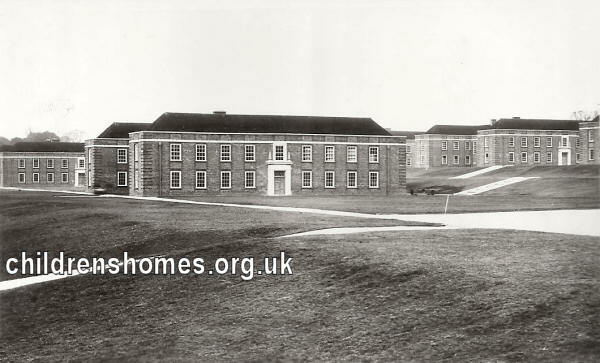 Royal Hospital School, Holbrook, 1930s. 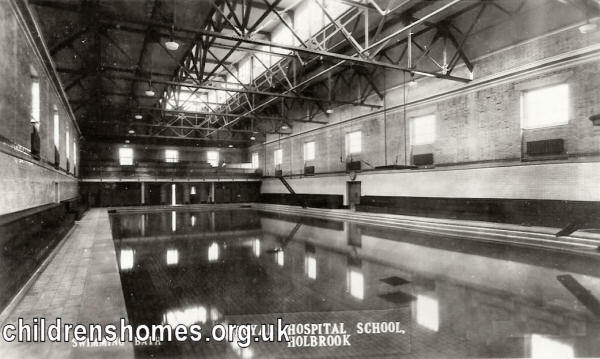 Royal Hospital School swimming bath, Holbrook, 1930s. 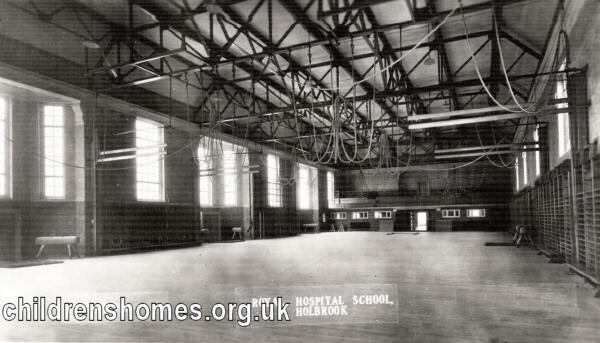 Royal Hospital School gymnasium, Holbrook, 1930s. 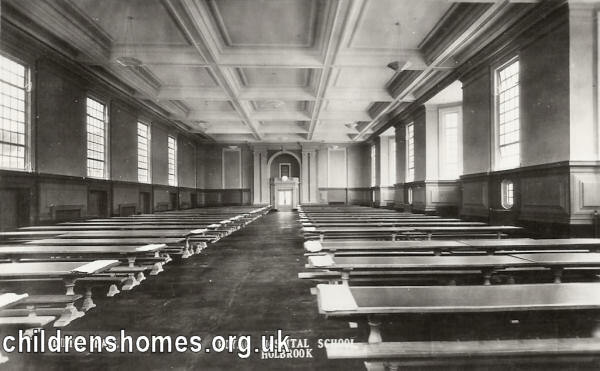 Royal Hospital School dining hall, Holbrook, 1930s. The School is still in operation as an independent co-educational boarding and day school for 11 to 18-year-olds. The School's former site at Greenwich is now home to the National Maritime Museum. The National Archives, Kew, Richmond, Surrey, TW9 4DU. Has extensive holdings including: Registers of application (1865-1930); Various admission and discharge records; Inspection reports etc.